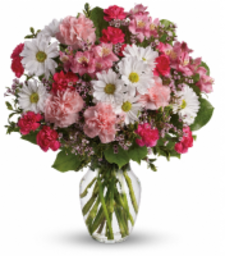 Bloomex - Order Flowers Quickly and Securely for Canada Delivery :: Order from a Trusted Canadian Online Florist - COOLEST TEACHER CONTEST! Calling all KIDS: Bloomex Ottawa wants to hear about your BEST TEACHER EVER! ItÃ¢â?¬â?¢s back to school time, and time to take a moment to think about the teachers who make such an impact on our lives! A great teacher can make all the difference-- let's give them some added recognition. Who is the coolest, most fun, nicest teacher in Ottawa? Who makes you look forward to going to school each day? Maybe itÃ¢â?¬â?¢s a teacher who explains new things really clearly, or who loves a good joke. Maybe itÃ¢â?¬â?¢s a teacher who supports you when you are feeling down, or a teacher who goes the extra mile by running a fun club or coaching your sports team. Bloomex will select the top two entries. 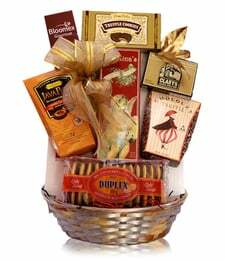 For each top entry, YOU will win this yummy Chocolate & Cookie Lover Gift Basket, and YOUR TEACHER will be presented with a gorgeous flower bouquet! Contest starts today and closes Tuesday, September 30. Good luck to all the teachers and participants! 1. By submitting your story, drawing, and/or photos, you agree that they become, as submitted, property of Bloomex, and allow Bloomex to post your submitted materials publicly on sites including but not limited to, bloomex.ca and the Bloomex blog (bloomex.blogspot.ca). Bloomex is happy to provide only first names of people involved in the stories; please just let us know if you would like us to do this. 2. The winning entries will be determined by a panel of Bloomex employees. 3. DEADLINE FOR ENTRIES is Tuesday, September 30, 2014, at 9 p.m. Eastern Standard Time. 4. 2 winners will be chosen, with each winning entry receiving a gift basket and a custom created Designer Collection bouquet free of charge from Bloomex.ca. 5. Entrants must reside in Ottawa, Ontario, Canada, or its immediate surrounds.